Cooking recomandation: softer/ al dente? Sticking / Adherence: The better they stick less. If your pasta turns into a ball after draining it may be a sign of inferior quality. Consistency: You can appreciate good pasta depending on how much chewing you need. The more you have to chew, the better they are. 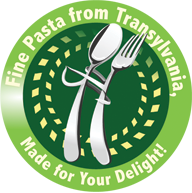 Taste: Quality pasta have a subtle nutty flavor. The quality of pasta can be judged rather by the prism of what it does not taste but what it tastes. Changing shape of pasta can make a major difference in a recipe and can give it a new look. Always think about the shape that fits best with the ingredients and adds the most to the final appearance of the food. ALFREDO sauce - a white sauce that became popular after Alfredo di Lelio in the early twentieth century. A last but very important observation: accordingly what kind of ingredients you have decided to use in spaghetti sauce grids, always keep in mind that the freshness and quality of ingredients used will have a significant impact on how delicious and nutritious it will turn your food. So the best advise is to use the best tomatoes, the best aromatic herbs and spices, the best cheeses and the best meat you have access to and that you can afford to get in the end.the best possible results. In a fast world, pasta is a precious resource. Apart from the fact that they always make a supply in the home, they are easy and quick to prepare, they are suitable for various combinations, they are nourishing, satious and enjoy everyone. The basic rule is: use 10 g of salt per 100 g of pasta in 1000 ml (1 l) of water. Pasta must be served fresh, immediately after cooking. Tall, wide pots, generally filled with ¾ of water, are generally used. If it's too much water, it gets out but if there's too little, the pasta does not cook well. Salt the water when it starts to boil, otherwise, if you do too early, you will prolong the boiling time, but if too late, salt does not absorb. Do not cover the pot during boiling. Pasta are added all at once and mix gently from time to time. Do not leave unattended. Do not add oil to water. Otherwise, if the pasta is served with the sauce, it slides off them. Observe the boiling times indicated on the packaging. 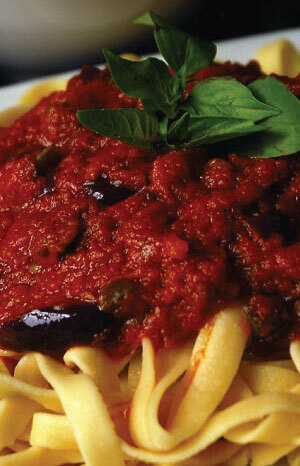 Italian culinary specialists believe that the pasta is ready when it is soft on the outside and a little hard inside. The pasta will be drained immediately after cook and if they are used in salads or sauces, they will not rinse with cold water.